Macro's CPP film line is a high speed cast system with newly redesigned features that improve the processor's bottom line by reducing scrap, downtime and energy consumption. The cast unit is designed with an optimized vacuum box and air knife for precise melt contact with the cooling roll, producing high clarity films with low gel content. 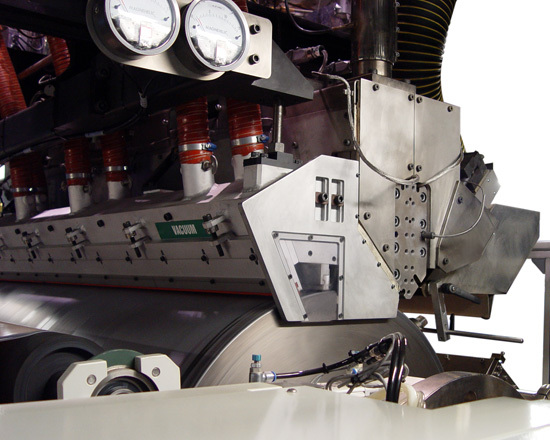 An automatic roll cleaning device continuously remove waxy build up from the cast roll and improves the line's uptime. 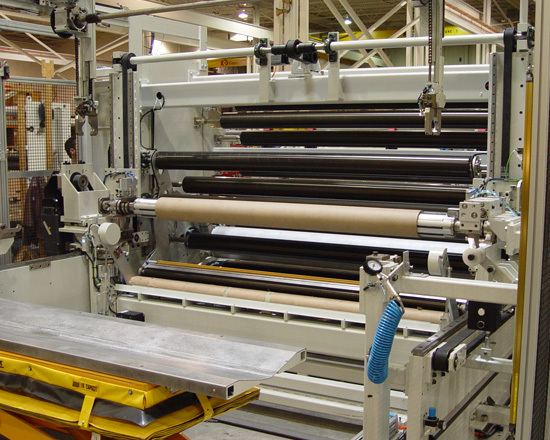 Macro's innovative winder produces large diameter rolls with zero waste, and end-of-line automation features improve plant safety and overall line efficiency. 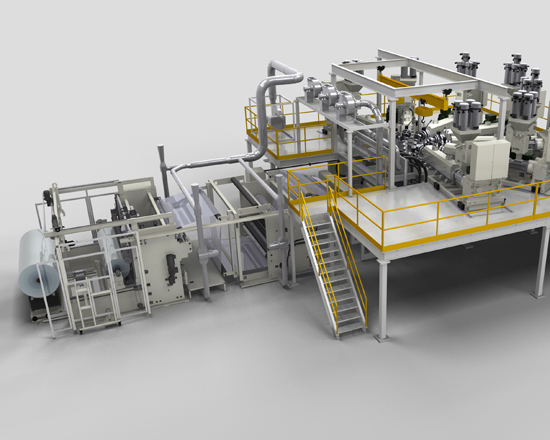 The extrusion module can be designed for future line versatility that allows the processor to also produce high barrier films using EVOH, PA, and PVdC. The line is also constructed with potential modifications to perform extrusion coating and lamination objectives.